At Ooma, we wanted to learn more about how people are using conference calls and what the friction points were — dropped calls, poor quality, or maybe something else. The infographic below shows the results of our conference call survey. Wondering what the most popular frequency for conference calls is? While a small percentage of our survey respondents have daily conference calls, the majority said that they have weekly conference calls. How Often Do You Typically Have Conference Calls? That means that, in total, 86 percent of respondents are having conference calls at least once per month. Going Dark: Do You Mute During Conference Calls? With so much time dedicated to group telephone meetings, we wanted to know what people’s habits and behaviors were. When asked, 75 percent of people report that they mute their line at least once during the call. However, mute can be helpful. We found that 49 percent of people have had conference calls while in an awkward location. In fact, our survey respondents were forthcoming about the adventurous places from which they’ve had conference calls. There were stories of having conference calls at airport gates, subway platforms, while exercising, and more. However, the wildest tales of conference call locations were in the middle of their child’s music recital, while in a bathroom, from a fire truck, and in a church foyer. When asked about the quality of their conference calls, most respondents were satisfied with the service that they use. Dropped calls are no longer the norm, and access codes or PINs work most of the time. How Is the Call Quality of Your Conference Calls? Do You Ever Get Dropped When You’re on a Conference Call? How Often Do You Have Problems With Your Access Code or PIN? When you’re on a conference call, you rarely know what the other callers’ experience is and what devices they’re calling from. It turns out that no one device holds the majority for making phone calls. What Device Do You Most Often Use for Conference Calls? Although the call quality during conference calls is high overall, there’s some variance as to which devices provide better quality. 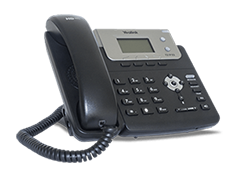 Average call quality was reported from meeting room conference phones and office desk phones. The lowest call quality was reported from those who regularly use conferencing apps. The highest call quality was reported from those who use mobile phones. When on a conference call, the majority of people participate by using the speakerphone function on their device. How do you typically interact on a conference call? While we know of some situations where there are large group conference calls, such as company-wide phone meetings or shareholder conference calls, the majority of conference calls are small groups of less than 10 people. How Many People Are Typically on Your Conference Calls? However, even on small calls (fewer than 10 people), it’s easy to get confused about who’s on the call, who’s joined, and who’s left the call. It happens to 51 percent of us at least some of the time — whoops! 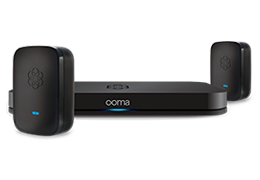 Bundled with Ooma Office business phone service are conference call tools to help you connect with your business groups. Each Ooma Office account supports up to 10 conference lines with up to 10 participants each. This conference call service is native to the phone plan, so there are no add-on apps or service integrations to consider. With Ooma Office, setting up your conference call is straightforward and easy. Ooma Office has been named the #1 VoIP business phone service by PC Magazine for the past six years. Interested in learning more about the business phone service that has impressed both magazine editors and business owners? Visit https://www.ooma.com/.